25-year-old Ragnhild Jessica Bjellan is AKVA Marine Services’ only female diver – a situation she is perfectly happy with! “I’ve always been very fond of water, which was what put me on the idea of becoming a diver. Now, I get to be out at sea every day, I exercise at work and even get a little excitement in my everyday life. It’s perfect!” Ragnild Jessica Bjellan says with a huge smile. 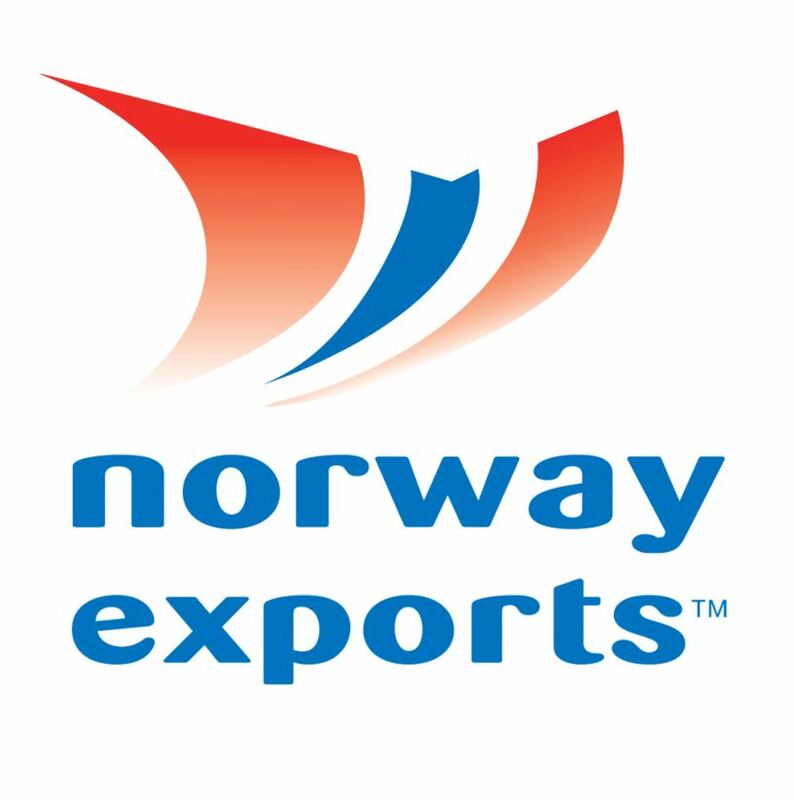 However, the path to AKVA Marine Services outside of Haugesund, Norway, was not easy. She is originally a trained chef, but due to a knee injury, she could no longer spend her entire workdays standing up. 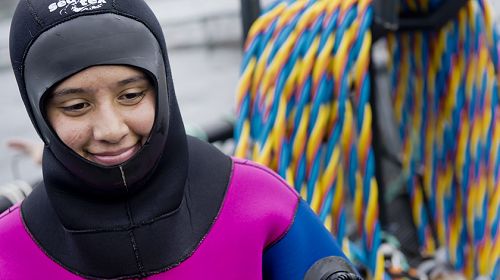 When she first started considering diving as a career path, she figured she would work as a diving instructor. By chance she was accepted to the Norwegian School of Commercial Diving (NYD). AKVA Marine Services carries out service assignments for e.g. the aquaculture and offshore industry. Ragnhild is preparing to inspect a net (all images: Øyvind Sætre/AKVA group). “I’m very happy that things played out the way they did. Working as a professional diver means I get to do a lot of different tasks. During my time in AKVA Marine Services I’ve been introduced to everything from anchoring of feed barges to inspections and maintenance operations,” Ragnhild says. Some of the jobs are quite heavy. That may be a contributing factor to why there are so few women in this profession. 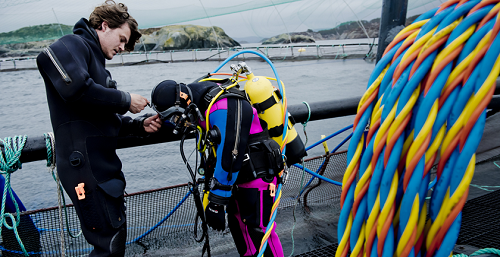 Ragnhild Jessica Bjellan is also AKVA Marine Services’ only female diver. “Before I joining diving school, I had a good chat with a girl who had attended the school earlier. She made me even more confident that this would be a good job. With that being said, it’s no secret that the diving profession is both hard and tiring at times. Not all companies are as good as AKVA Marine Services when it comes to ensuring good working conditions for the divers,» she says. From her experience, she has gained both respect and good help at the work place and have nothing but praise to provide her male colleagues. “I had to move a long way from home to start in AKVA Marine Services, so had it not been for the people I’m surrounded with, I’m not sure I’d been able to prolong,” she says.